turn the ignition switch on position. Click “isc learned value reset” (1). 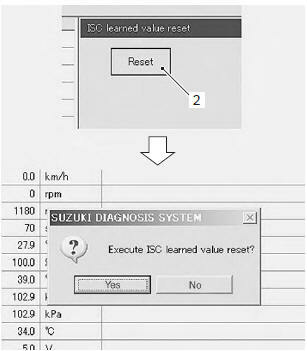 Click “reset” button (2) to clear the isc learned value. the learned value of the isc valve is set at reset position. Turn the ignition switch off position. 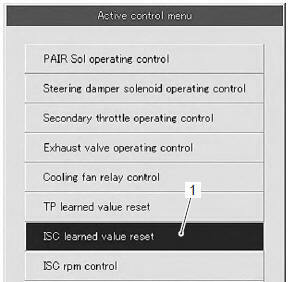 the isc valve opening initialization is automatically started after the ignition switch is turned off.